Sales for the A5 and S5 amount to a drop in Audi's bucket, but it's steadily becoming a bigger drop. That can only improve with the introduction of convertible variants. 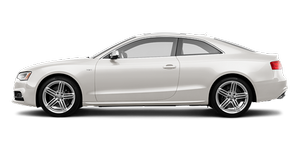 Sharp styling, unlikely versatility and a snappy drivetrain give the S5 a fighting chance, despite the absence of a retractable hardtop. In an economy most would characterize as dubious, though, I wish the car wasn't so doggone expensive.